For the second week in a row Wisconsin was slammed with torrential rainfall again leading to massive flooding, this time primarily in southwestern and southcentral parts of the state. 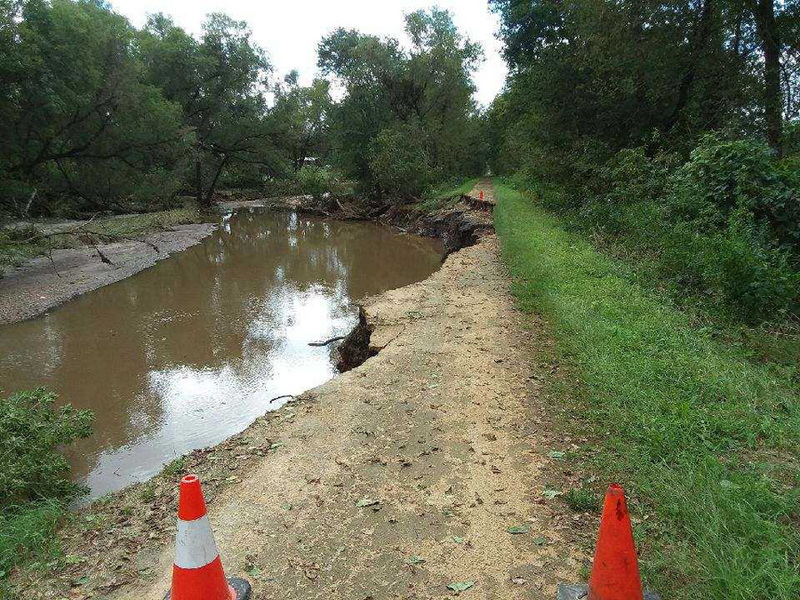 The floods again washed out many roads, leading the governor to declare a statewide emergency. 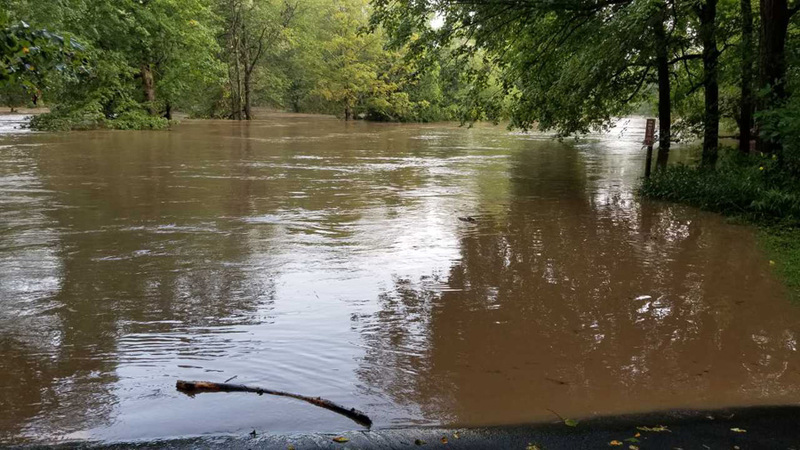 The flooding caused the closure of Wildcat Mountain State Park and the 400, Elroy-Sparta, Hillsboro and Saunders state trails just before the Labor Day holiday weekend. A confirmed tornado in Fond du Lac County lead to the closure of about half the campsites in the Long Lake Campground of the Kettle Moraine State Forest Northern Unit. For details search the DNR website for "current conditions." All four Madison area lakes remain under slow-no-wake ordinance as does much of the Rock River south of Lake Koshkonong and this week Columbia County instituted slow-no-wake on the Lower Wisconsin River from Portage to Lake Wisconsin. Going into the holiday weekend, most other state parks, forests and trails are open and in good condition for outdoor recreation. Those looking for last-minute camping options should check the state park reservation site for opening or cancellations. Most available sites are in the northern state forests. Northern Wisconsin didn't receive as much but still had some significant rainfall of 4 to 8 inches in some areas. Both the Bois Brule and Flambeau rivers are running high for the holiday weekend and could provide excellent conditions for experienced paddlers. From high winds to thunderstorms, the weather over the past week has made it difficult for anglers to have much success. Central Wisconsin received 4-10 inches of rain and most trout streams flooded and were unfishable. Wolf River anglers have been doing well catching bass. Crappie were starting to bite on inland lakes. Despite the weather, anglers had some success catching walleye and perch along the Oconto River along with some smallmouth bass. Suamico and Geano Beach remained the heaviest fished spots on lower Green Bay's west shore, but walleye anglers had mixed success. The muskellunge effort is increasing, with many reporting success, including one angler who caught a 54-inch monster. Walleye are also continuing to bite at Bayshore. Large catches of white perch were also reported, along with anglers catching catfish and freshwater drum. Fishing pressure along Door County was low over the past week. The few walleye anglers did bring in fish, while the perch anglers had mixed luck, with nearly everyone seeming to bring in white perch. Smallmouth action from the piers remained good along the northern peninsula. 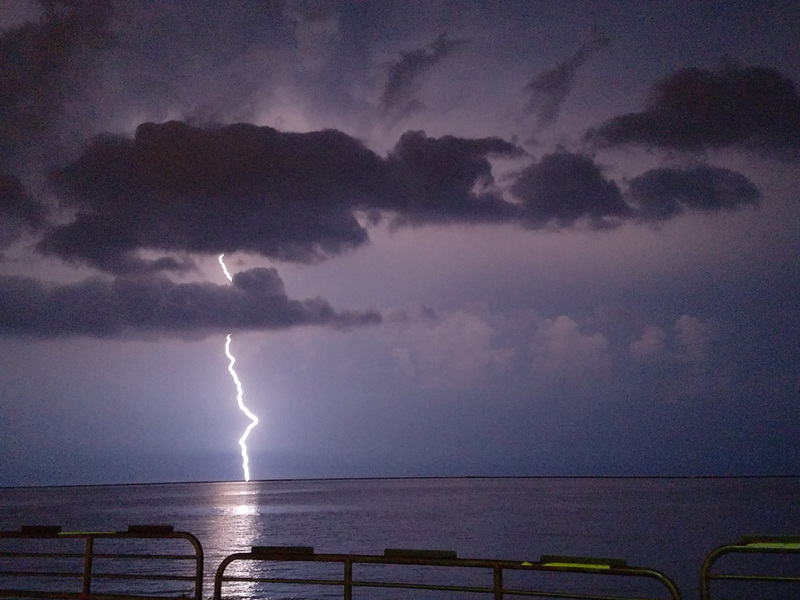 Poor weekend weather with high winds, large swells on Lake Michigan, and thunderstorms limited anglers from heading out on the water. Those who made it out reported a mixed bag of coho, rainbow and lake trout are being reported with an occasional chinook. Saturday is the opening of the early goose and teal seasons, along with opening of mourning dove. Not many farmers have cut corn yet so geese have mainly stuck to alfalfa fields. Spots on fawns now fading out, bucks are still in velvet but that will change very soon. Walnuts and acorns have started to fall and the apples on the trees are looking great. Looks like an excellent white oak acorn crop, early archery deer and turkey hunters should duly note. Many black ash and red maple trees are beginning to change colors. The bulk of common nighthawks were found across central Wisconsin, including over 3,000 counted in Dunn County on August 25, but the peak is likely past now for all but southernmost counties. Flocks of blue-winged teal, our earliest migrating duck species, were reported from Horicon and a few other locations. Wildcat Mountain State Park - Closed entirely. 400 State Trail - Closed entirely. Elroy-Sparta State Trail - Closed entirely. Hillsboro State Trail - Closed entirely. Saunders State Trail- Closed entirely. Pattison State Park - Beach and trail closures from June 17 storm. Kettle Moraine State Forest - Northern Unit - Long Lake Campground has approximately half of its campsites closed due to down trees. Governor Nelson State Park - The boat landing piers have been removed due to high water levels on Lake Mendota. Both the beach and pet swim area are under water. There is a slow no wake restriction on the lake as of Thursday, Aug. 23. Rocky Arbor State Park - Six campsites closed. 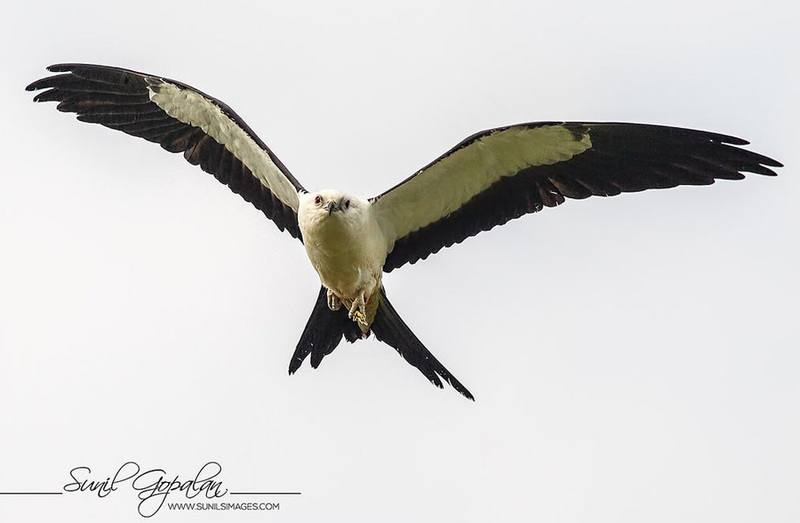 The week's best find was Wisconsin's 12th swallow-tailed kite discovered in Marquette County on August 23 and continuing as of today, August 30. Photo credit: Sunil Gopalan. Newport State Park - Outdoor Movie Night: "The Emissary"
Manitowoc County - Fishing has remained slow throughout the week. Due to the high winds and large swells on the lake the number of anglers that were fishing was low. A few chinooks were caught throughout the middle of the week in 115 feet of water on flasher fly combos. Water temps were still in the mid-70s on the surface and then 80 feet down was still 72 degrees. Fishing on the piers are still low. Hopefully with the rain we received recently will help the fishing. The salmon and trout should be starting to come in shortly. Anglers are still catching bass inside the marina. Northern Pike are being caught as well. There was a northern over 30 inches caught this past week inside the marina. The fishing report for Two Rivers is the same as Manitowoc. Fishing is still slow, but hopefully things will start to turn around. Pier anglers have not had any luck catching any salmon or trout in the past week. A bass was caught on occasion as well as carp. The carp were caught on spoons while anglers were trying for salmon/trout. Anglers fishing inside the harbors are still catching bullheads. The bullheads were the only thing caught over the past week. Wild Rose State Fish Hatchery - The public is invited to a lecture series on Lake Sturgeon. Speakers will welcome questions and discussions on this iconic Wisconsin fish. Lake Sturgeon Lecture: "Hook, Line and Spearing" on Saturday, Sept. 1, starting at 4 p.m. until 6 p.m.